Sue De Laurentis and Allen Pogue with one of their students. 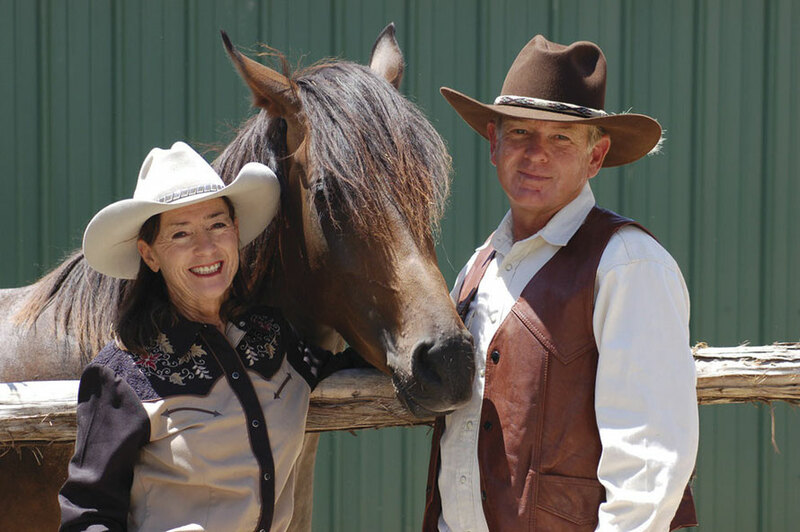 Master Trainers, Sue De Laurentis and Allen Pogue have developed a program that combines Classical elements with applied behavioral principles that has earned them praise from all levels of expertise: from newcomers and experienced hands throughout the field of horsemanship as well as from PhDs in animal ethology. Their experience with teaching both horses and humans has helped them create a learning path where success is guaranteed! Imagine A Horse goes light years beyond the simple mechanics "how" of training tricks and illuminates on the "whys" of how they benefit the horse. Let them show you how!